This is an ancient cracker recipe from Athenaeus, a rhetorician and grammarian who lived in Rome in the 3rd century AD. This recipe is a delightful, snacky interpretation of a cracker that was most likely served at taverns in ancient Greece and Rome. The original recipe doesn't give us much direction, but they were likely somewhat similar to the recipe below. 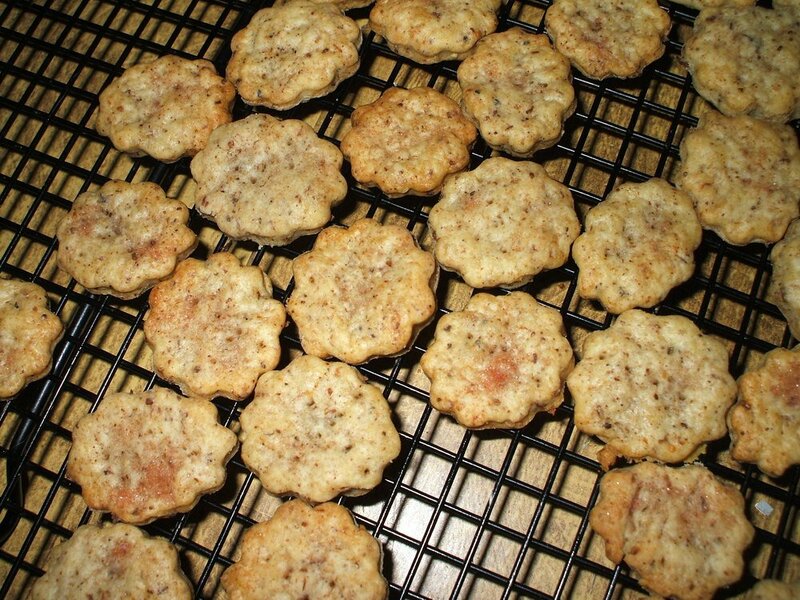 We make this recipe often for parties as it's a great, easy to make snack. This particular version is adapted from Roman Cookery, Ancient Recipes for Modern Kitchens by Mark Grant. It's an excellent book, full of very accessible recipes and I highly recommend it if you are interested in great early Italian food. Make a well with the flour and add the olive oil. Combine with your fingers until it has a crumble-like consistency. Add the wine or grape juice and knead to a smooth dough. Add more wine or flour if needed. Roll the dough into a ball in your hands and place in a plastic bag to rest in the fridge for one hour. Roll dough out as thin as you can. Cut into 1" crackers with a cookie or pastry cutter. I use flower or star shape cutters. Arrange the crackers on a oiled baking sheet or silpat. Brush each cracker with beaten egg white to glaze. Bake for 25 minutes at 190 degrees celsuis/380 farenheit. Cool on a wire rack and serve. These are best enjoyed with a glass of wine.